4 Beds 3 Baths 1 Partial Bath 2,004 Sq. ft.
NO TRICKS....JUST TREATS WITH THIS ALL BRICK, COLONY COVE LISTING! A fantastic property offered at an exceptional price. 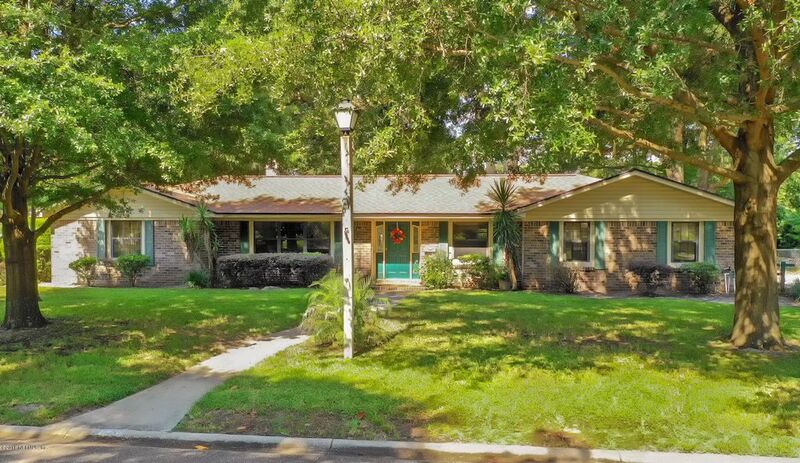 If you have been looking for an ALL BRICK, 4 bed home with a large yard, oversized enclosed patio with electricity & speakers--great space for entertaining--mud room with access from the yard to drop shoes, clothes and toys, a well-established neighborhood, AND close proximity to the interstate for easy commute around Jax, your search is over!! This home includes the following upgrades: 2002 re-plumbed, 2016 new patio roof, new patio roof insulation & screens, Sept 2018 new A/C handler & compressor, new stainless steel refrigerator, new bathroom hardware and fresh paint throughout. Elementary school PK-2 is Merrill Rd. Grade 3-5 is Don Brewer Elementary. Directions: 295 to Exit 46 Merrill Rd. toward the Wonderwood Connector. Rt. onto Hartsfield Rd. At the round about, take the exit for Ft. Caroline Rd. Turn Rt. onto Colony Cove Trail, house is on the Left.